Learn all about the Skilled Migrant Visa for New Zealand. Consequently if as an applicant you can match these criteria, you may very well be able to make an application for a skilled migrant visa. Get your free assessment here and see if you meet the basic requirements for a skilled migrant visa. How do I know if I am a skilled migrant? The skilled migrant visa has 3 stages to it that judge whether you fit this skilled migrant category. The basic criteria which must be met. The points score and expression of interest. What is the basic criteria for a Skilled Migrant Visa? Your occupation, skills, experience and qualifications must be assessed as skilled. 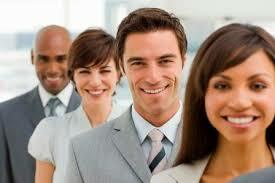 You must have an offer of skilled employment or current skilled employment in New Zealand. You must meet the New Zealand good character requirements. Health of the applicant. You and everyone accompanying you must meet certain health requirements. You must be 55 or under. You must meet the minimum English requirements. What happens if you meet the basic criteria? Because you have met the basic criteria, you can now progress to your New Zealand Immigration Points score by means of a formal assessment. Not be able to qualify for a skilled migrants visa. This is where you cannot reach a points score of 160 points and have to consider another route. This could be an essential skills work visa rather than an immediate application for residence as a skilled migrant. You qualify to submit an EOI. This is where you score 100 points plus and qualify for an expression of interest for a skilled migrant visa. What is an EOI – expression of interest? An expression of interest, should only be submitted because you are sure you have met the basic criteria and your points score will be sufficient. It represents your first stage in your application to Immigration New Zealand in applying for a skilled migrant visa for New Zealand. The expression of interest is submitted (with your points score) to the New Zealand immigration authorities. You will be selected to receive an invitation to apply. Due to the 160 points required, your changes of successfully obtaining a skilled migrant visa will inevitably require you to have a job offer in place. As such, migration to New Zealand should be viewed as a process rather than a once off application that needs careful planning. What is an invitation apply? The EOI is the just the first part of your skilled migrant visa application to Immigration New Zealand. It is the way Immigration New Zealand judge who they would like to issue a formal invitation to apply for residency to. In this case via the skilled migration visa route. If you meet the criteria of 160 points you may receive an invitation to apply (to submit a full application) to Immigration New Zealand. How long is my expression of interest valid for? Expressions of interest are valid for a 6 month period of time. You can learn more here about the New Zealand Immigration points work for a skilled migrant visa. What happens if I get an invitation to reply? Because your expression of interest has been selected, an invitation to apply for a skilled migrant visa will be sent to you. It will contain all the details on it that you submitted with your Expression of Interest. These details need to be checked, updated and returned with all supporting evidence. This then constitutes your actual application for a skilled migrant visa. Does it mean I will qualify for a skilled migrant visa if I get an invitation to apply? The application will be passed and consequently your skilled migrant visa issued. The application might be deferred and the principal applicant might be offered a Skilled Migrant Category job search visa. This is a temporary visa that will allow the principal applicant to come to New Zealand to search for skilled employment. It has a validity period of 9 or 12 months but does allow you to work for any employer in New Zealand while you search for skilled employment. Your application will be turned down. Contact one of Licensed Immigration Advisors here for help and guidance with your skilled migrant visa.